From campgrounds and state parks to world-class museums and historic hotels, there are many options for couples hankering to get hitched in Colorado. Colorado dude ranch weddings make guests feel right at home. Gondola rides to mountaintop vows, aisles padded with wildflowers and reception ballrooms fit for rock stars and presidents — brides and grooms have a lot to look forward to when it comes to planning a Colorado wedding. 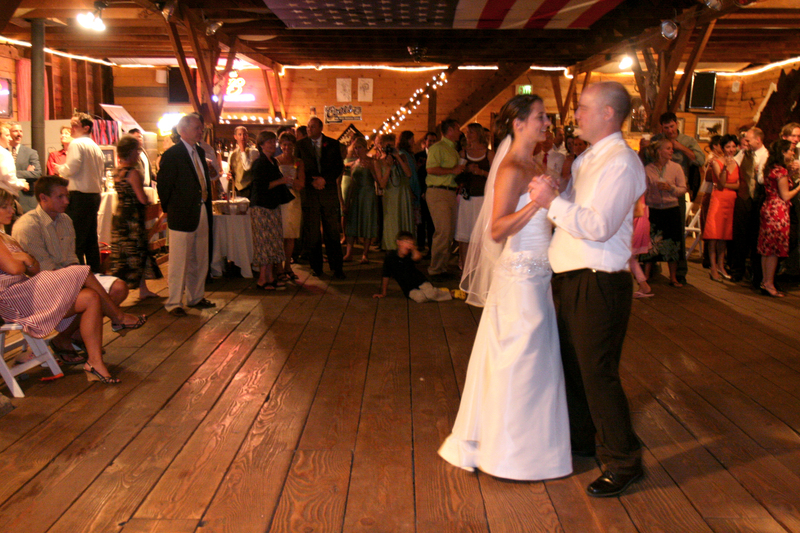 Consider one of these Colorado locales for your special day. The ability to keep wedding guests fed and entertained is a priceless feat, which is why the all-inclusive packages offered by Colorado dude ranches are desirable. Many dude ranches provide all-inclusive wedding packages for groups, which can include ceremony and reception sites, accommodations, meals and ranch activities like horseback riding and fly-fishing. Other benefits to having your wedding at a dude ranch, besides those super-cute wedding party photos where everyone’s wearing cowboy boots, include intimate, woodland-encased settings and Rocky Mountain hospitality that will make your guests feel right at home. From soaring sand dunes and fourteeners to small towns featuring unspoiled architecture from the state’s mining heydays, there are many natural and historical sights in Colorado that you simply can’t find anywhere else. For a truly unforgettable experience, why not make one of Colorado’s famed landmarks a part of your special day? Picture your wedding inside Denver’s newly restored Union Station, aboard the Georgetown Loop Railroad or beside Aspen’s ultra-photogenic Maroon Bells — it’s only possible in Colorado. The views speak for themselves at Colorado ski resorts, where snowy runs transform into grassy, flower-peppered landscapes for summer weddings. Mountaintops at ski resorts provide high-altitude panoramas of charming mountain towns and towering, forested peaks — all without the hike (ski lifts are typically required). Many of these coveted venues often also supply wedding packages that incorporate conveniences such as setup and tear down of the ceremony and reception site, gourmet catering, complimentary cake cutting and lodging discounts. Colorado’s historic hotels pair original furnishings with modern conveniences, are often positioned in supreme locations and carry on a legacy of first-class service. Choosing a historic gem for your wedding also gives you and your guests the opportunity to add your own chapters to more than 100 years of the state’s Western history. From the Brown Palace Hotel, a Denver landmark that’s been dazzling presidents and celebrities since 1892, and The Stanley Hotel in Estes Park, home to flawless Rocky Mountain views and legendary haunts, Colorado’s historic hotels will charm your in- and out-of-state guests. Whether you’re picturing white tablecloths and chandeliers or a private mountaintop retreat with 100 of your closest friends and relatives, there’s a stylish Colorado resort that will make your vision a reality. From working with a specialized company to help couples accentuate their space with the impeccable lighting to access to in-house pastry chefs and florists, there’s no shortage of special touches at the elite venues. Many establishments also put you under the wing of a seasoned wedding coordinator or catering manager, who will make sure all your needs are met and your wedding is truly an occasion to remember. In the spring, summer and fall, the diverse landscapes of Colorado State Parks supply naturally romantic backgrounds for weddings, from breathtaking waterfalls and reservoirs to deep canyons, rolling hills and peaceful plains. Small wedding parties can hike to the ceremony site of your choice or arrange to use a covered shelter, visitor center or picnic area. State park staff members are happy to help you with any necessary permits and facility details and can also direct you to accommodations in cabins, yurts or guesthouses within or near the parks. Colorado’s world-class museums house many treasures and set the scene for sophisticated events, including wedding ceremonies and receptions. Museums contained in historic buildings like the Victorian-landscaped Healy House Museum in Leadville offer intimate and elegant venues while contemporary spaces such as the Denver Art Museum or Colorado Springs Fine Arts Center supply stylish backdrops and can usually facilitate larger receptions. Depending on what museum you select for your special day, benefits can include free parking, access to tables, chairs and event staff and even admission to museum exhibits. If family-style meals, fire pits and ample time outdoors appeal to you more than the traditional wedding setup, consider a wedding party takeover of Colorado’s many campgrounds. Choose a tranquil open meadow or lake-side scene for your vows, dance under an endless sky and give your nature-lovin’ guests unlimited access to the outdoor activities like exploring trails and fishing. Family-operated lodges and cabins also supply rustic yet comfortable accommodations for the happy couple and their wedding guests. Plus, this option can be more affordable than other wedding sites and are just as fun, if not more, for you and your guests.